Easy to make and delicious meringue cookies with tips and tricks for success every time. PLUS the best ways to use meringue cookies to elevate a simple dessert! You might be thinking these cookies don’t fit into healthy post-holiday recipes, but at 25 calories a meringue, they’re the perfect light treat! Other healthy dessert ideas: healthy brownies, healthy no bake cookies, or healthy banana bread! I always thought meringue cookies were a little of boring (especially when you can have a snickerdoodle or oatmeal chocolate chip cookies!) UNTIL I visited Detroit last April. I went with a group of other food blogger’s and Sarah introduced us to one of her favorite restaurants; the Grey Ghost. While the meal (and drinks) were truly amazing, it was the dessert that blew me away. Yes, almost a year later, I’m still craving it! The dessert we were served: miniature sour cream cheesecakes with berries, lemon curd, and miniature meringue cookies. As full as I was, I polished every last piece of that dessert off and will admit it’s one of my all time favorite desserts to this day. Today I’m sharing how to make perfect meringue cookies, and ALSO how to make a simpler version of that dessert that rivals the very dessert I fell in love with almost a year ago! Let’s talk about the process for making these cookies including tips for the perfect meringue cookies, troubleshooting meringue cookies, and finally I’ll share some (INCREDIBLE) ways to use these meringue cookies. How do you make easy meringue cookies? Make sure the bowl you’re using is 100% clean and dry – any residual grease could result in your eggs not whipping to stiff peaks. You also want to avoid using plastic bowls – stick to metal! Use room temperature ingredients. Pro tip: separate the yolks from whites when the eggs are cold out of the fridge and then let the whites come to room temperature (oftentimes it’s more tricky to separate a room temperature egg). You’ll get a fluffier, airier meringue by using room temperature eggs. Steadily beat the egg whites: I add a pinch of salt at the very beginning to help stabilize the egg whites. As you beat the egg whites and begin adding other ingredients, avoid under or over-beating. Both will result in less than desirous meringue cookies. 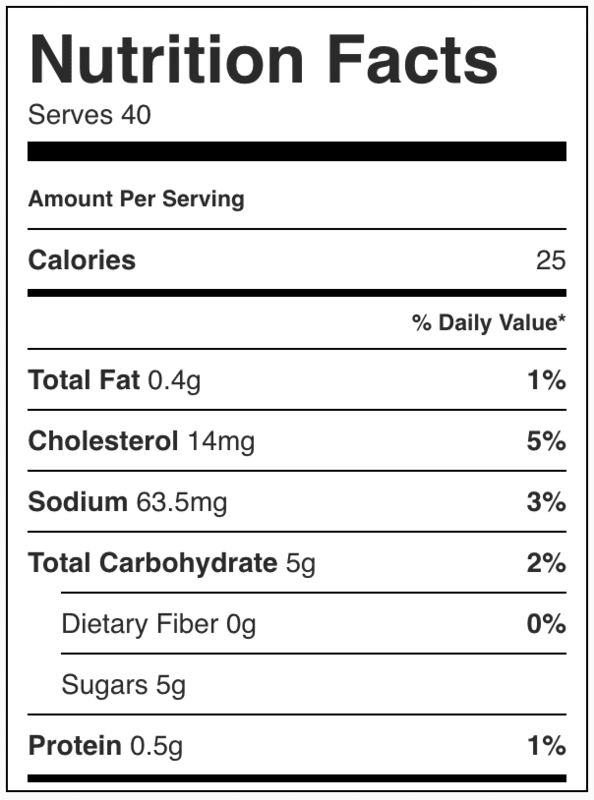 Add sugar gradually: first off: granulated or castor/superfine sugar? Granulated will result a more “granular meringue” while superfine sugar will give you a smoother finish. If you add too much sugar at once, it will deflate the air you’ve whipped in. Low and long bake time: meringue cookies are baked at a low temperature for 1 hour – this will ensure a crisp cookie without it browning or cooking too quickly. Allow meringue cookies to stand in the oven after baking: this ensures your meringue cookies fully dry out and also cool down slowly to avoid cracks/crumbling. Why are my meringue cookies chewy? Most likely one of three reasons: humidity, not beating your mixture to stiff peaks, or not baking long enough. Is cream of tartar necessary for meringue? The acid in the cream of tartar creates a more sturdy meringue. The cream of tartar also keeps meringue cookies from “weeping” which essentially means it keeps them from oozing moisture or becoming sticky/tacky. You can use lemon juice instead of cream of tartar — add 1/2 teaspoon juice for every egg white. While you can use lemon juice, I would still recommend cream of tartar. How do you know when meringues are done? Meringues should be crisp, light, and look completely dry (not shiny) when they are done cooking. If you can very easily pull the cookies off the parchment paper and the bottoms are completely dry, they are done! More meringue cookie troubleshooting here! If you’re a regular reader of my site, you know I am not afraid of some hyperbole, but honestly, these desserts I’m sharing below using homemade meringue cookies are my current all-time favorite treats. 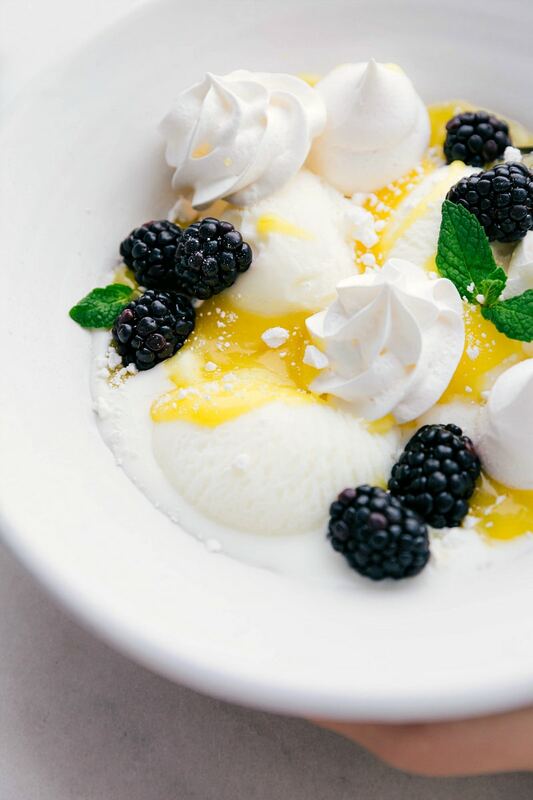 Frozen or regular yogurt, lemon curd, berries and meringue = the absolute best! Top it with homemade lemon curd (the BEST!) or store bought lemon curd in a pinch (usually found by pie fillings/baking asile in the grocery store). 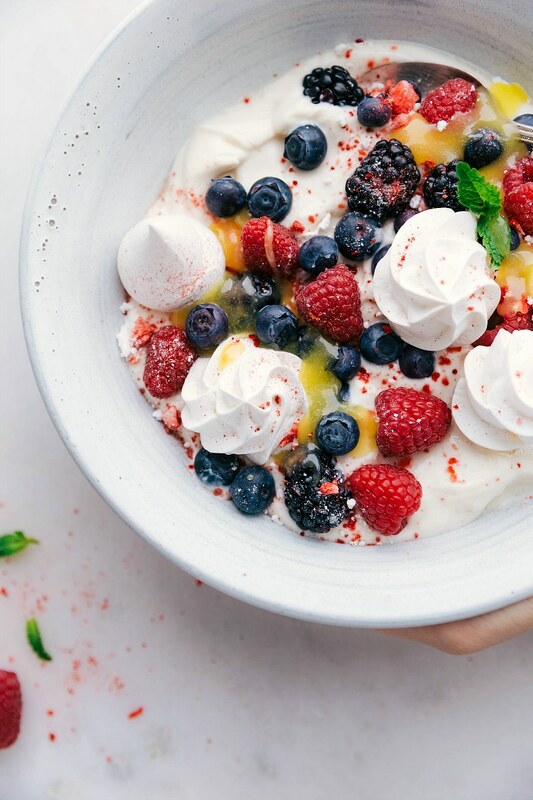 Add some fresh berries and meringue cookies — either crumble some regular sized meringues or make tiny meringues for this dessert. 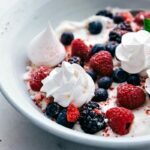 Top the yogurt with a variety of berries. 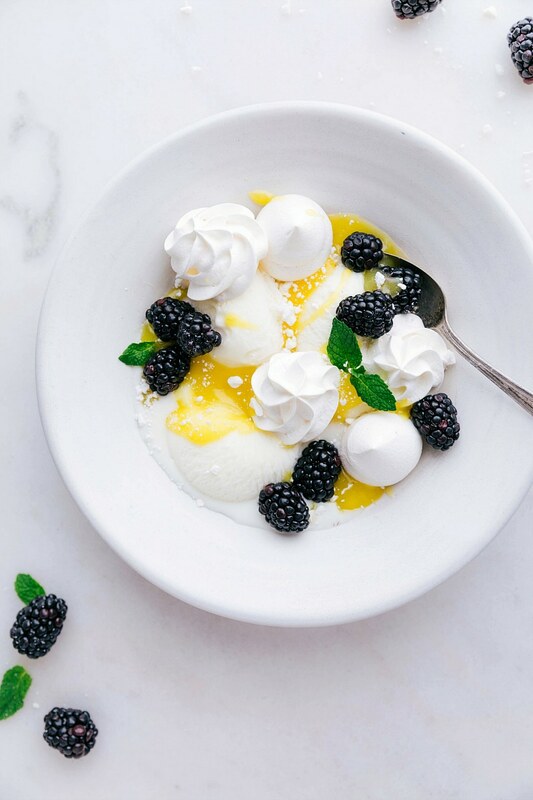 Add a few spoonfuls of lemon curd (optional) and meringue cookies — either crumble some regular sized meringues or make tiny meringues for this dessert. Crumble some freeze dried raspberries or strawberries over everything. I like to separate the egg yolk from white when the eggs are cold. Separate straight out of the fridge and then allow the whites to come to room temperature. It's very important to have room temperature egg whites for this recipe. Preheat oven to 225 degrees F. Line two large sheet pans with parchment paper (not silpat/re-useable liners). Set aside. In a completely clean and grease-free bowl (preferably metal bowl), combine egg whites, salt, and cream of tartar. 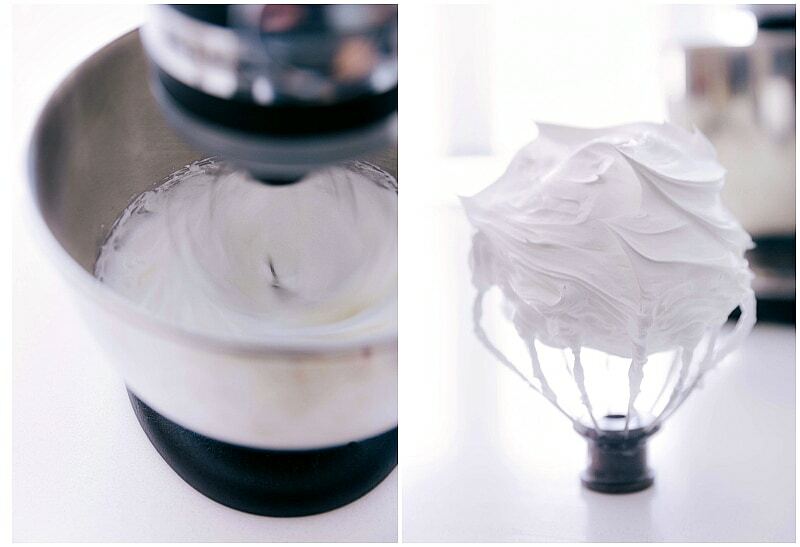 Using an electric mixer or a stand mixer (using whisk attachment), stir on low speed until mixture becomes frothy. Increase speed to high and beat until mixture is no longer translucent. With mixer going on high speed, gradually add the superfine sugar, about a tablespoon at a time, stirring after each addition until sugar is dissolved (10-15 seconds in between each addition). You want to add sugar gradually so you don't deflate the meringue. Beat until mixture is thick, sugar is completely dissolved, and you have stiff peaks. Stir in vanilla and lemon extract. Transfer mixture to a large (new/clean -- avoid used and washed piping bags) piping bag that has been fitted with a star tip. 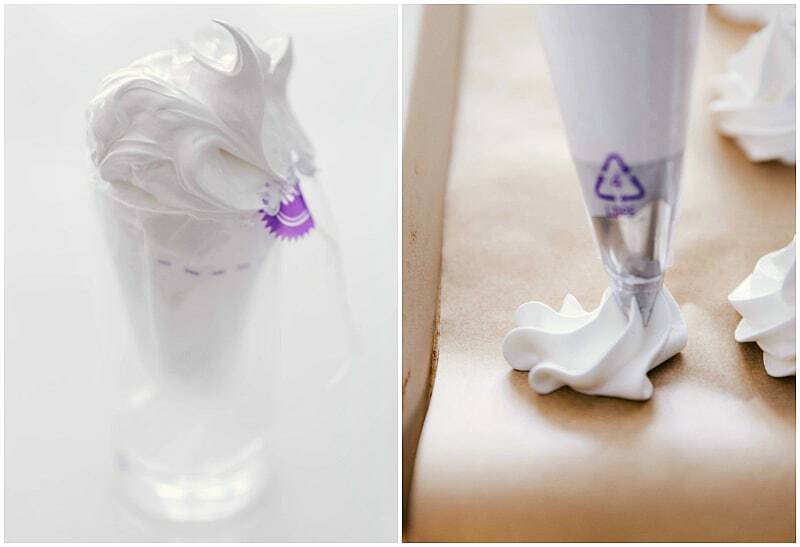 (Or just snip the tip off of the piping bag and pipe from that). Pipe cookies on prepared sheet pan. Since these won't spread, you can place them on the sheet pan pretty close together. Pipe large or small meringues -- whatever you'd like, but keep the sizes consistent. Bake for 1 hour. Do not open the oven. Turn off the heat and leave the oven closed for 1 hour before removing the meringues. Store meringue cookies in an airtight container away from any heat and moisture. If the meringues are getting soft. 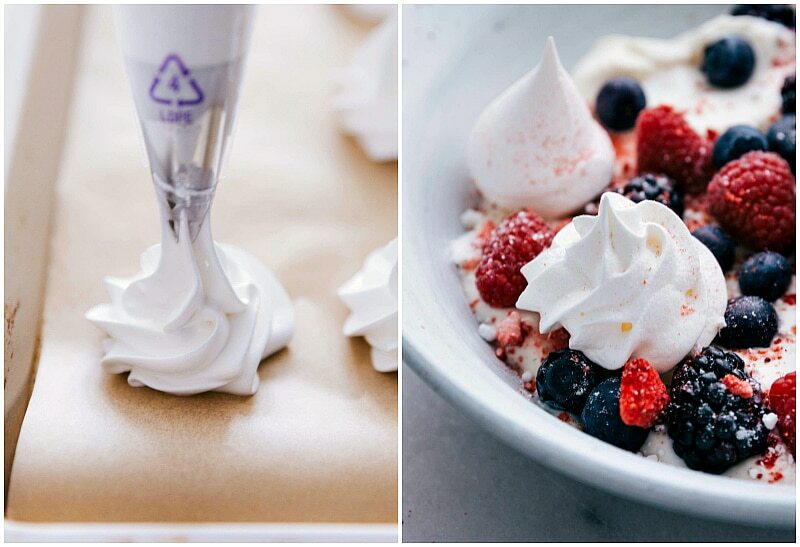 To jazz up these meringues a bit: dip the bottoms in melted chocolate or drizzle melted chocolate over top, crumble freeze dried strawberries or raspberries on top of the meringues, OR serve in one of the healthier desserts listed in the blogpost. My FAVORITE way to use meringues: on top of vanilla frozen yogurt with homemade lemon curd and a few miniature (or crumbled) meringues. Literally, the best. *Superfine sugar gives meringues the best texture, but granulated sugar works as well! To make your own superfine sugar (from granulated sugar) check out this article. What are the 3 types of meringue? Swiss meringues: are made by dissolving sugar and egg whites together over simmering water while beating with an electric mixer. This meringue is often used as a base for buttercream icings. Italian meringues: are made by slowly beating hot sugar syrup into stiffly beaten egg whites. The egg whites get ‘cooked’ by the hot sugar syrup. This meringue is usually used for dessert toppings where the meringue is brûléed.